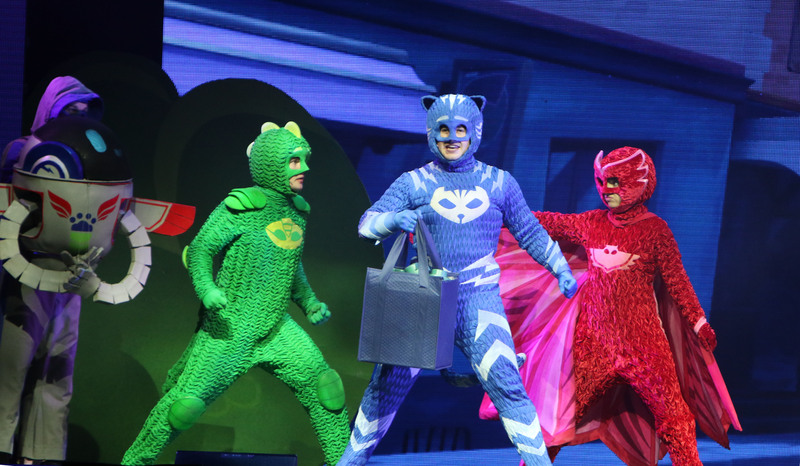 On Friday April 5th, PJ Masks brought their live show to Oshawa’s Tribute Communities Centre. 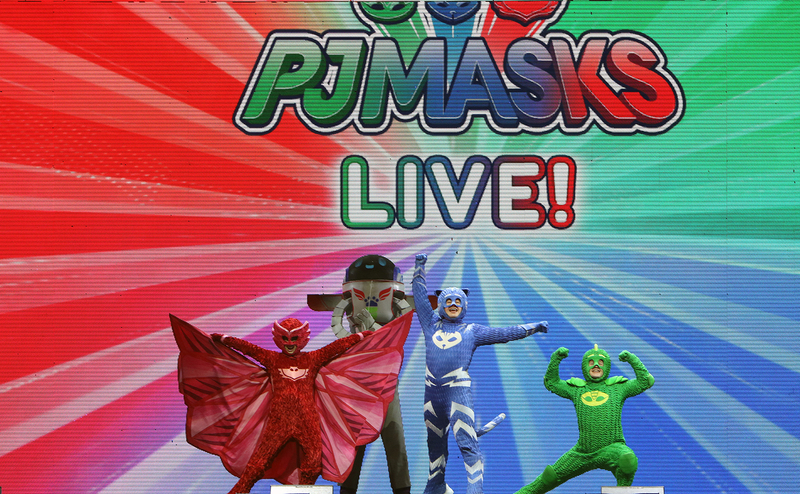 For parents and children, this was probably the biggest pajama party ever attended with a nearly sold-out arena. Before entering the breakdown of the show and performance, those in attendance need mention. Entering the Tribute Communities Centre for this event was like no other I’ve attended. The vibe in the building was electric. Walking down the hallway to the seats was almost like entering the concert performance of a rock legend. For those children in attendance, it was just like that. These kids knew they were about to see their heroes live. Their excitement was evident and transparent as the excitement and anticipation filled the stadium. For those in the audience who weren’t there for themselves however for those they brought exuded excitement as well. The energy was electric and contagious. The excitement from the children took over, from young to old a smile was on every face. It was truly a happy moment even for myself to witness. I couldn’t help but think when I was a kid how it would have been if I had the chance to see the Ninja Turtles, G.I Joe or even the Care Bears live. This hit television show, PJ Masks, is captivating children everywhere. Something about this show is grabbing their attention and holding them. The show itself is a cartoon of three friends with superhero powers in their pajamas. What’s more heroic is the positive vibes through three friends. Though there all villains throughout, these little heroes show not just the children, but also the parents how important positivity can be to ourselves. These three friends have their differences, however, working together with their strengths shows us that when working with others despite differences, we all have a superhero in us.